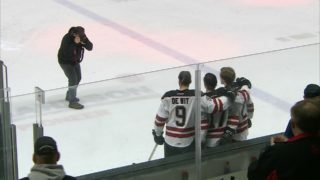 As the Red Deer Rebels prepare for their final weekend of WHL preseason play, GM/head coach Brent Sutter has a simple message for his players. 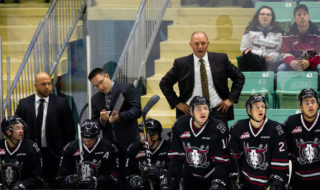 “Just keep getting better and get yourselves ready for the following weekend,” Sutter said Thursday, while looking to the team’s final two exhibition games, Friday in St. Albert versus the Edmonton Oil Kings and Saturday at the Centrium against the Medicine Hat Tigers. With defencemen Dawson Barteaux (Dallas Stars) and Alex Alexeyev (Washington Capitals) and forward Brandon Hagel (Montreal Canadiens) not yet back from their respective NHL teams prospects camps, working on special teams won’t be a focus this weekend. Hagel and Barteaux will be back with the Rebels next week, prior to the team’s first two regular-season games — Friday at Edmonton and Saturday at home against the Oil Kings. Alexeyev, who was the Stanley Cup champion Capitals’ first-round pick in June’s NHL entry draft, could very likely appear in a handful of NHL preseason games and therefore might not return until October. “That’s what we’re hearing, although we don’t know exactly,” said Sutter. The Rebels had five players attend NHL prospects camp this fall. Overage forward and team captain Reese Johnson, and defenceman Jacob Herauf returned his week from the camps of the New York Rangers and Pittsburgh Penguins, respectively. 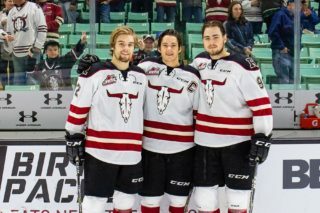 The Rebels’ roster currently exists of 27 players, including the three who have yet to return from NHL prospects camps. That number, according to Sutter, will be reduced by two or three either during or following this weekend. The Rebels boss will get down to 23 players by the start of the regular season, meaning as many as four skaters are currently on the bubble. Sutter wasn’t identifying any of the players on the ledge, although rookie forwards Ethan Rowland and Jordan Borysiuk, both 16, might be among that group, their tender age working against them despite their considerable talent. Sutter also doled out high grades to returning forwards Josh Tarzwell, 18 and Chris Douglas, 17. 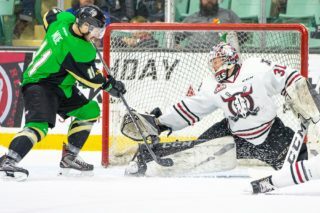 “All of our 17-year-olds played well last weekend (in a 4-3 overtime loss to Lethbridge),” said Sutter, who has also been impressed with forward Dallon Melin and defenceman Chase Leslie, both 16. 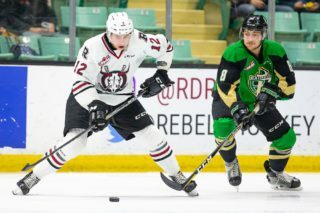 The Rebels are carrying four overage players on their roster — Johnson, de Wit, Hagel and defenceman Colin Paradis — and have until Oct. 10 to reduce that number to three.